German research institutes, the Karlsruhe Institute of Technology (KIT), the German Aerospace Center (DLR) and Stuttgart University, have agreed to work together on developing power-plant-scale energy storage systems and recently established NADINE (the National Demonstrator for Isentropic Energy Storage) to be the research infrastructure. The facility, according to a report from KIT, will be built in Karlsruhe and Stuttgart and will be used to study the use of liquid metals, which have high heat transfer properties, in novel thermal energy storage systems. Due to the expense and lack of durability of battery storage systems that are currently in use, power plants need loss-free energy storage systems with high capacities. Stuttgart will house a laboratory for studying systems up to 700°C and will test innovative concepts of Carnot batteries using heat and cold storage systems, heat engines, and heat pumps. 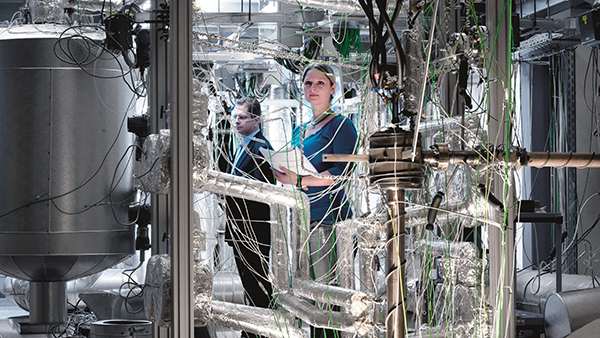 The use of liquid metals up to 600°C will be studied in the Karlsruhe facility.